There’s nothing better than stepping into a warm bath or shower. That hot water wakes you up in the morning and helps you relax at the end of a tough day. So when your hot water heater irreparably breaks, purchasing a new one is a must. But choosing a new water heater isn’t always a simple process. The water heater that may have served you for 15 years may be hopelessly outdated. New, energy efficient systems are available that can help you conserve water, energy and ultimately, save money. If you’re in the market for a new water heater, take a look at these five types, outlined by the Department of Energy. Conventional storage water heaters. These traditional tanks, which range from 20 – 80 gallons, keep hot water at the ready. When you turn on your hot water faucet, water flows from the top of the tank through the pipes to the faucet. Cold water then flows into the bottom of the tank, where it is warmed. Because water is always kept warm, even when not being used, this type of water heater can waste energy through standby heat loss. Tankless/demand water heaters. Unlike conventional water heaters, tankless ones operate on demand. When you turn on the tap for hot water, cold water is heated with a gas burner or with electric elements as it passes through the water heater. With this system, you only get the hot water as needed so it saves energy and money. However, it can initially be more expensive than the more economical conventional heater and it can fail to heat water quickly enough when demand is high. Tankless coil and indirect water heaters Similar to a tankless or demand water heater, a tankless coil heats water on demand as it flows through a heating coil in the main furnace. With no standby heat loss, this system is efficient in cold months when the heating system is used regularly, but can be inefficient when used in milder climates, where the furnace isn’t needed frequently. An indirect heater can be a more efficient choice because it uses a storage tank that allows the furnace to turn on and off less often. Solar water heating systems. These systems are 50% more efficient than gas or electric water heaters and include storage tanks and solar collectors. They can be used in any climate and the solar power is free. Like the tankless heaters, solar heating systems have a higher initial cost and may need a backup system for cloudy days. Heat pump. These pumps use electricity to move heat from one point to another and can be two to three times more efficient than conventional electrical water heaters. However, these pumps can only be used in locations with milder climates ranging from 40° to 90°. The type of tank you purchase should be based your budget (initial outlay as well as long-term costs), how much hot water you’ll need to use at once, how the temperature in your geographic area affects the efficiency of a type of tank, what kind of fuel you use and the anticipated lifetime of the heater. 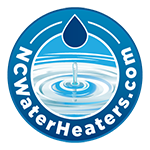 For recommendations on the best type of water heater for your home, give NC Plumbing Services a call. Our team of skilled plumbers can make suggestions based on your individual needs, while respecting your budget. 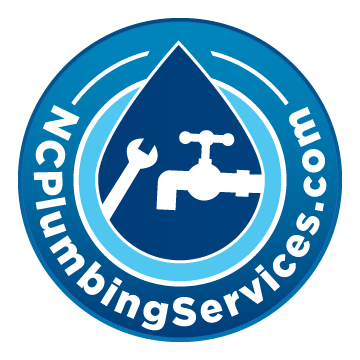 Have questions on hot water heater or other plumbing issues? Call us at 919-868-3585. No Replies to "Choosing the Best Type of Water Heater"